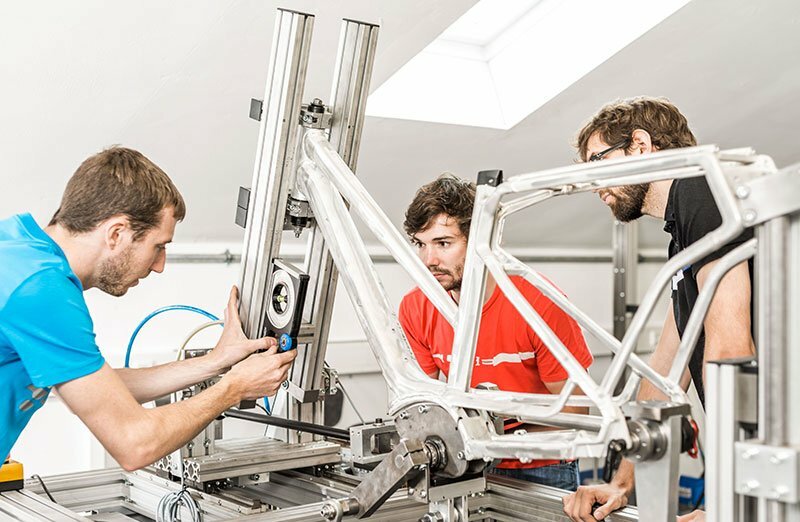 Cube Bikes designed in Germany using the most advanced materials for several years we have carried out the whole engineering process of our bikes and their technology in Waldershof, Bavaria. 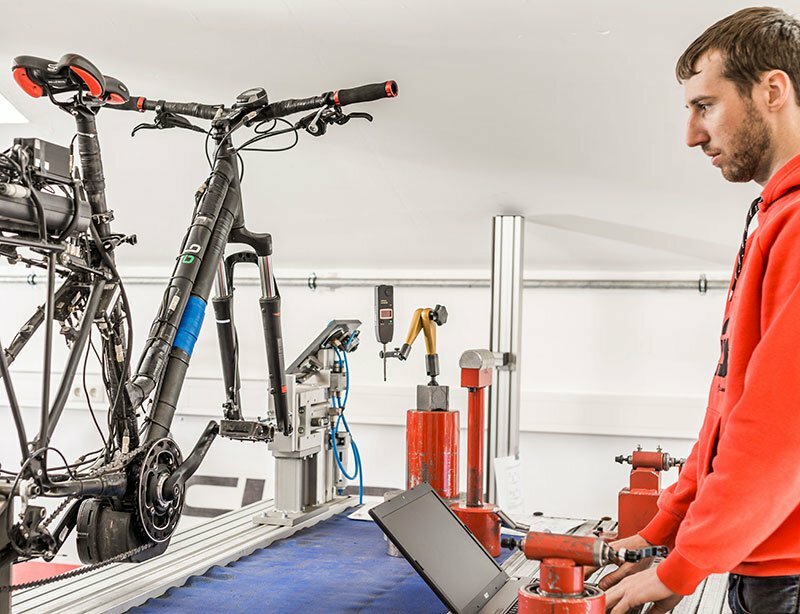 This means product engineering as well as design and comprehensive tests in our in-house test laboratory. Prior to every new product development there is an in-depth analysis of the conditions and influences of the proposed field of use. This makes it possible to guarantee a maximum of safety and riding enjoyment. After the final optimization of the simulated 3D model, a real 3D model is formed using plaster. This makes it possible to get a first impression of the bike itself. Additionally, forms and additional parts can be inspected in detail. Then a prototype frame is produced by our manufacturers in Asia. The aluminum prototypes are checked and discussed between engineers and designers. This ensures that all requirements are met. All new developments represent our entire knowledge and our passion for riding. Effective team work from our engineers, designers and product managers made it possible for us to meet our customers‘ requirements for design, comfort, functionality, equipment and quality in one product. We are confident that this is worth every effort.